‘We had so many more memories to make’, that was the heartwrenching comment from a lifelong friend of Sarah Clayton, who was found dead at a campsite on Sunday. Paying tribute, Becky Sheppard added that the 21-year-old from Yapton was an ‘amazing mum’ and a ‘beautiful’ friend. 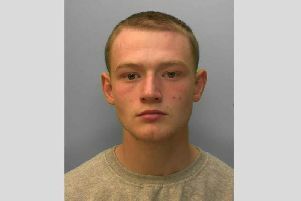 A 28-year-old from Littlehampton who was arrested on suspicion of murder has now been released under investigationhas been arrested on suspicion of murder, police confirmed, after officers were called to Marine Parade in Seaford at around 7am. Detective chief inspector Emma Heater, who is leading the investigation, said: “Although we’re not looking for anyone else in connection with Sarah’s death we are still seeking witnesses or anyone with information that may assist us. Becky said: “I’ve known Sarah since we were kids, at one point we were inseparable. “Sarah was the type of girl to always have a smile on her face, no matter what life was throwing at her. She was an amazing mum, her daughter was the apple of Sarah’s eye and she always put her friends first, there was never a day when she didn’t ask me if I was ok. Anyone with information is asked to contact police on 101, ref Operation Cobblestone.